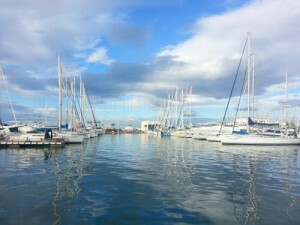 Santa Pola is a small touristic fishing village. 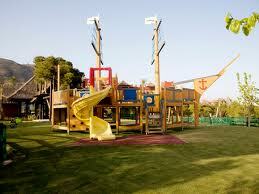 It’s situated in a privileged place: Only at 17km from Alicante. Santa Pola is much more than sea. The Fortress, a military Renaissance style castle, was built in 1558. 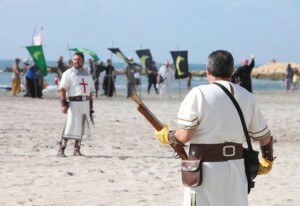 Nowadays, the Castle has become a Cultural Centre where different cultural, festive and religious activities take place. 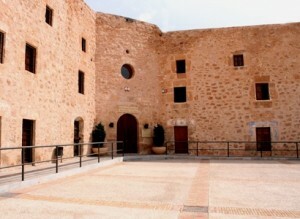 Inside the Castle you can find the MaritimeMuseum, the fishing Museum, the Duke of Arcos Bastion, the chapel “Virgen de Loreto” and the Municipal Exhibition hall. PATIO OF ARMS: For centuries it has been the political and military life and nowadays, it is one of the favourite meeting points of the local people. FORTREES OF THE DUKE OF ARCOS: Making a total height of 12m. CHAPEL OF VIRGIN OF LORETO: is situated in the fortress of the King and it is a religious secular space from the origins of the Fortress and it is also a place of tourist interest. LOCAL GALLERIES: AS WITH THAT AT THE “Casa de la Cultura “host exhibitions of all kinds, photography, painting, culture and so on. THE MARITIME MUSEUM: 3main topics; prehistory, the RomanPort and the Iberians. THE SALTMUSEUM: located in an old salt mill, there you can discover the process for extracting salt. THE AQUARIUM: Includes 9 large glass thanks containing flora and fauna from the Mediterranean Sea. PORTUS ILLICITANUS ARCHEOLOGICAL REMAINS: The Roman port. THE MASSAPÀ CISTERNS: were building in the century for Santa Pola’s water supply and are thanks which function is to keep drinking rainwater. THE PORT: Nowadays, it’s one of the most important Spanish ports in the Mediterranean Sea. WATHTOWERS: are; “Torre Del Tamarit” in “Las Salinas” “Escaletes” in the mountains and “Atayola”. THE LIGHTHOUSE: Located at the far eastern end of the Cape of Santa Pola. THE MILL OF “LA CALERA”: The lime pit was used in the production of lime in the traditional way. THE CIMAR: The Research Marine Centre. March: The Half Year celebration of the Moors and Christians takes place the first or second weekend in March. June: we celebrate the “Romería del cap” a pilgrimage to honour the “Virgen Del Rosario”. 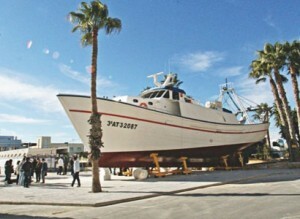 July: the 16th Santa Pola and especially sailors, verenate the “Virgen del Carmen- fishermen’s patron saint”. December: Santa Pola commemorates the emotive the arrival of our lady of Loreto.